Anyone else enjoy playing classic equipment? I would definitely be interested in a classic club outing! I think Scotty Cameron started stamping SC onto Bullseyes around 94-95, but who cares, I really like the idea of making sets based on eras! Just scored a set of Titleist 962B irons, 2-SW for around ten bucks an iron on local eBay. Obviously Aussie golfers are oblivious to the quality of these clubs. Can’t wait to get them out for a retro round. You’ve broke my heart. My pro bought a set of louisville hickories(the 5 club starter set). I played 6 holes today and had the most fun and was set to buy some old restored hickories but now I’m put off agyer reading point 1 and 2 together. The biggest difference you will see is with the woods. its really tough to find original hickory woods that are in playing shape and are also easy to hit. It can be quite a search to find a brassie or spoon that is original that actually matches up with your swing but to some thats half the fun. Louisville Hickories are great and you know what shaft you will be getting and they are much easier to hit. Playable original irons can be had for a song if you know what you are looking for and know who to by from. If you are on the fence maybe get a Louisville Hickory Wood and source original mid iron, mashie, mashie niblick, niblick, and putter. Nice. 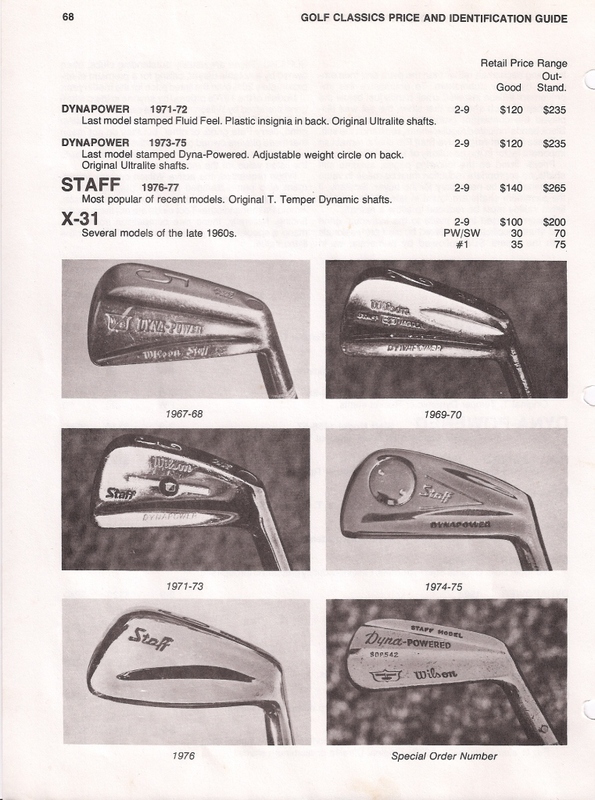 I’ve found a few sites in the U.k(im in ireland) selling restored irons. I could pick 4 of those up handily and then grab the louisville wood. Thanks for your help. On a side note, I haven’t played on my own in 10 years yet had the most fun playing without a range finder just trying to figure out how to get the ball to the green with the hickories. As an FYI Louisville Golf is having their Spring Sale and most clubs are 10% off currently. For those of you looking to try Hickories or Classic Clubs you might find something you like on sale. Hey there, fellow refugees! Lately I’ve also become interested in occasionally playing with vintage clubs for the additional challenge and connection to simpler times. Going through my dad’s storage unit this weekend I came across a set of “Foxx” clubs. There was a driver, 3-wood and about 4-5 irons. I’ve been scouring the Internet for a couple days and can’t find ANYTHING about these clubs. 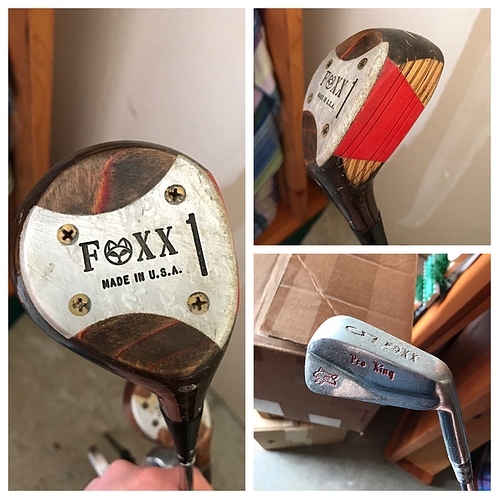 Figured I’d see if anyone here knows anything about Foxx clubs? I’m trying to learn about the manufacturer and identify what year this set was sold. (My Dad said these clubs were in the back of the garage for so long that he can’t remember when/where he got them) Thanks for any info or tips on where I could learn more! @Gambling_at_Bushwood From ~1985ish from what i was able to find in my brief search. Looks like a department store line of starter set clubs i would say. the muscle on the iron is a classic design that is still in use today. They look to be in good shape, try them out and let us know what you think . @Craigstands Thanks for the info! A “department store line of starter set clubs” would certainly fit my Dad’s player profile, he’s never been a big golfer. (Though selling a ‘starter set’ with MB blades seems cruel 30 years later, haha!) I was impressed with their condition and can’t wait to give them a try! 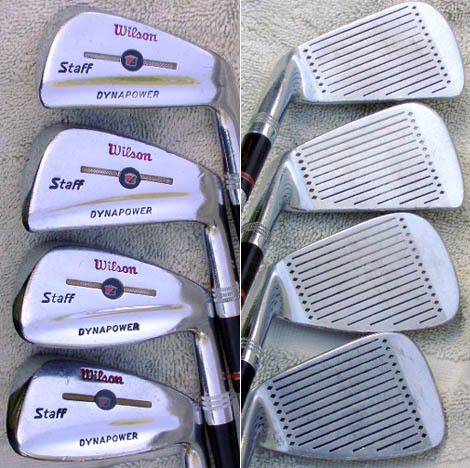 I just bought a set of 1971 Wilson Staff Dynapower irons over the weekend. They look to be in good shape! Where’d you find them? I’ve always ignored older clubs when I’ve come across them in the past, I wonder how many diamonds-in-the-rough I let get away from me over the years. I now have a new lens of appreciation for any future finds. I should have added — those are not my actual clubs. I posted a stock photo. In terms of regretting what you let get away, I’ve regretted letting go of the Hogan Apex irons I had in high school. This is the model Dynapower irons I purchased. This not a photo of my clubs. 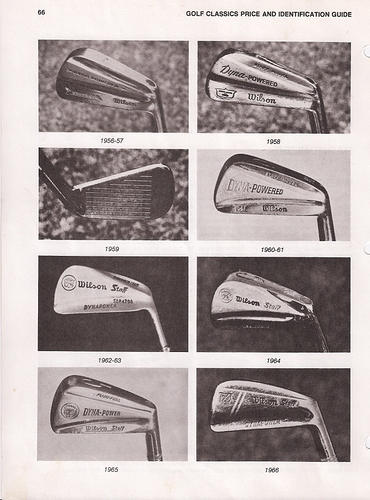 There are many models of Dynapower irons. I think Wilson came out with a different model every two years in the late 50s and into the early 70s. Here’s another resource with pictures of the various Dynapower models. that settles it…I’m taking the 76 Staff tour blades off the wall this summer and playing them again.